Battle Power is the key to Eudemons. If your eudemon gets 1 star, you will get a 1 Battle Power Reward. The BP Gift for eudemons is available now. Summon these kind of eudemons to get extra Battle Power. There are 3 kinds of BP Gifts: BP +1, BP +2 and BP +3. If your eudemon has many different BP Gifts, you'll only get the highest extra BP. For instance, if your eudemon has BP +1 and BP +2 Gifts, you'll get 2 extra BP in total. 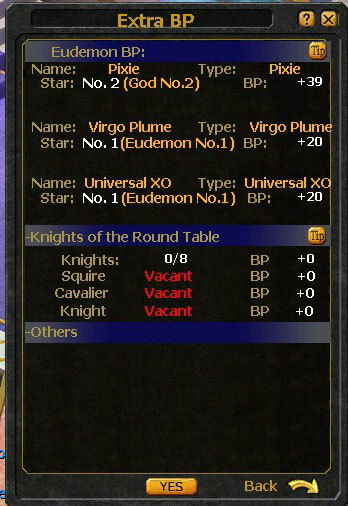 If your eudemon is ranked among the Top 100 eudemons, you will get at least 5 extra BP when you summon it. If this is case, you can enjoy the game more with faster leveling and more power!